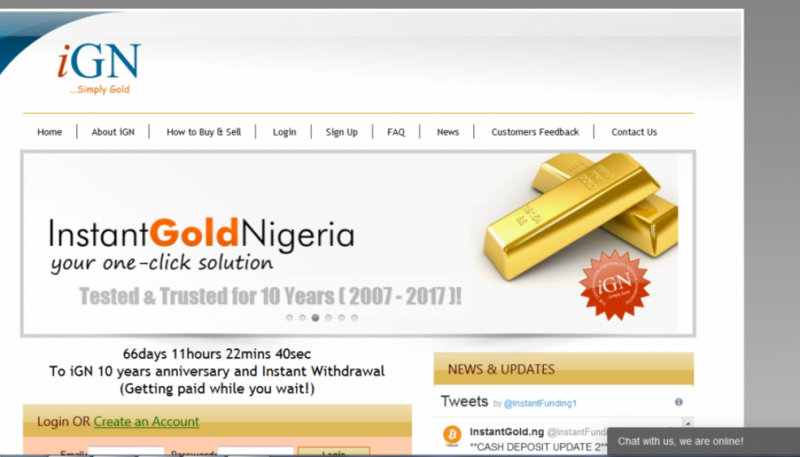 Instant Gold Nigeria is a total e-business solution provider that specializes in the provision of fast, reliable and efficient e-currency exchange service to the clients who desire to buy and sell online with ease. We are one of the World’s most reliable and fastest link to the World of e-currency. We help you convert your Cash to E-currency and we also help you convert your E-currency to Cash. We provide convenience for our clients in all areas of e-business. Business Start Year : 2007 .